Built 1901 as "Theatre Albert". Purchased by the Stratford Festival in 1963. Subsequently rebuilt. Re-opened July 1967. 1090 seats. Reverse Text: "The Avon Theatre. 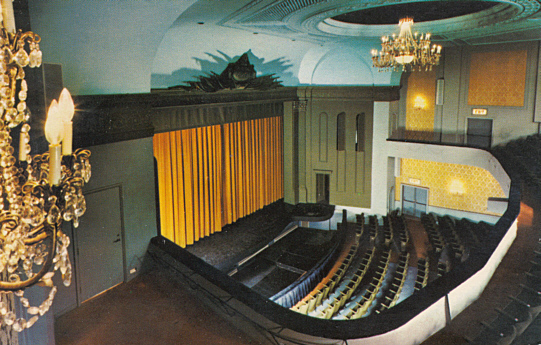 A landmark of theatrical history in Ontario, The Avon Theatre has been the home of drama, vaudeville, music and films since the turn of the century. 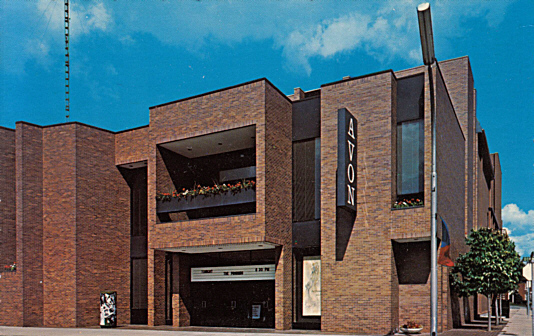 Purchased by the Stratford Festival in 1963, it was completely redesigned, and reopened officially in July 1967. It seats 1100 people."